EirGrid plc is a leading Irish energy business, providing transmission and market services for the benefit of electricity consumers of the island of Ireland. It is a commercial semi-state company with 460 employees, split between Dublin and Belfast offices. 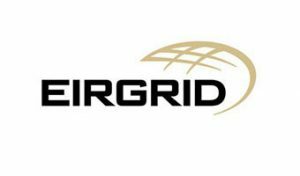 EirGrid holds licences as independent electricity Transmission System Operator (TSO) and Market Operator (MO) in the wholesale trading system in Ireland, and is the owner of the System Operator Northern Ireland (SONI Ltd), the licensed TSO and market operator in Northern Ireland. The Single Electricity Market Operator (SEMO) is part of the EirGrid Group, and operates the Single Electricity Market on the island of Ireland. EirGrid plc is the owner and operator of the East-West Interconnector, a 500MW HVDC link between Ireland and Wales. EirGrid is the project coordinator and is also responsible for WP1 and WP2 which sets out the technical and socioeconomic needs of a secure low carbon European system. EirGrid will make a considerable contribution to WP4 which analyses the scalability and replicability of EU-SysFlex flexibility solutions. EirGrid will also contribute to WP3 Market and Regulation and the development of the Flexibility Roadmap for Europe in WP10. EirGrid’s participation in the identified work package brings vital technical expertise and practical experience of operating and planning the transmission system with increasing levels of renewable generation.